Seizures can be caused by head injuries, brain tumors, lead poisoning, maldevelopment of the brain, genetic and infectious illnesses, and fevers. Sensory symptoms arise from the parietal lobe; motor symptoms arise from the frontal lobe. Treatment of seizure disorder consists of anticonvulsant therapy to reduce the number of future seizures. The nurse should monitor the patient for signs of toxicity: nystagmus, ataxia, lethargy, dizziness, slurred speech, nausea, and vomiting. It is also the duty of the nurse to provide support to the family and answering questions and correcting misconceptions that surround it. Not applicable. A risk diagnosis is not evidenced by signs and symptoms, as the problem has not occurred and nursing interventions are directed at prevention. Patient will verbalize understanding of factors that contribute to the possibility of trauma and or suffocation and take steps to correct the situation. Patient will identify actions or measures to take when seizure activity occurs. Patientwill identify and correct potential risk factors in the environment. Patient will demonstrate behaviors, lifestyle changes to reduce risk factors and protect self from injury. Patient will modify environment as indicated to enhance safety. 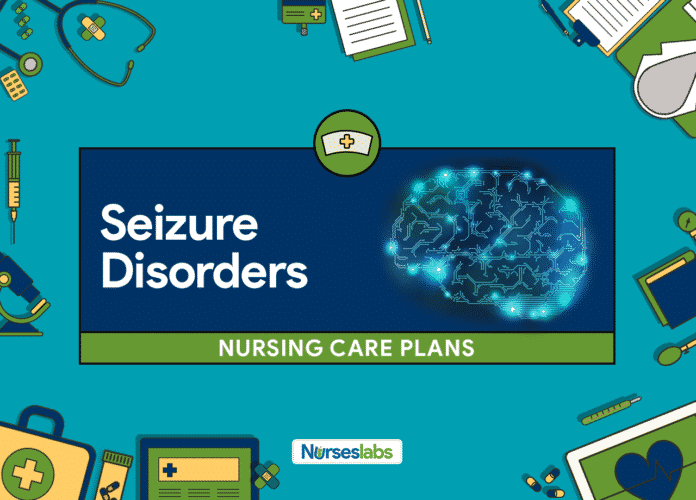 Patient will maintain treatment regimen to control or eliminate seizure activity. Patient will recognize the need for assistance to prevent accidents or injuries. Determine factors related to the individual situation, as listed in Risk Factors, and extent of risk. Influences the scope and intensity of interventions to manage the threat to safety. Note client’s age, gender, developmental age, decision-making ability, level of cognition or competence. Affects the client’s ability to protect self and others, and influences the choice of interventions and teaching. Ascertain knowledge of various stimuli that may precipitate seizure activity. Alcohol, various drugs, and other stimuli (loss of sleep, flashing lights, prolonged television viewing) may increase brain activity, thereby increasing the potential for seizure activity. Review diagnostic studies or laboratory tests for impairments and imbalances. Such may result in or exacerbate conditions, such as confusion, tetany, pathological fractures, etc. Explore and expound seizure warning signs (if appropriate) and usual seizure pattern. Teach SO to determine and familiarize warning signs and how to care for the patient during and after seizure attack. Enables patient to protect self from injury and recognize changes that require notification of physician and further intervention. Knowing what to do when a seizure occurs can prevent injury or complications and decreases SO’s feelings of helplessness. Use and pad side rails with the bed in lowest position, or place bed up against wall and pad floor if rails not available or appropriate. Prevents or minimizes injury when seizures (frequent or generalized) occur while the patient is in bed. Note: Most individuals seize in place and if, in the middle of the bed, the individual is unlikely to fall out of bed. Educate the patient not to smoke except while supervised. May cause burns if the cigarette is accidentally dropped during aura or seizure activity. Evaluate the need for or provide protective headgear. Use of helmet may provide added protection for individuals who suffer recurrent or severe seizures. Avoid using thermometers that can cause breakage. Use a tympanic thermometer when necessary to take the temperature. Reduces risk of patient biting and breaking glass thermometer or suffering injury if sudden seizure activity should occur. Uphold strict bedrest if prodromal signs or aura experienced. Explain the necessity for these actions. Patient may feel restless or need to ambulate or even defecate during aural phase, thereby inadvertently removing self from a safe environment and easy observation. Understanding the importance of providing for own safety needs may enhance patient cooperation. Do not leave the patient during and after a seizure. Promotes safety measures. Turn head to side and suction airway as indicated. Insert plastic bite block only if jaw relaxed. Helps maintain airway patency and reduces the risk of oral trauma but should not be “forced” or inserted when teeth are clenched because dental and soft-tissue damage may result. Note: Wooden tongue blades should not be used because they may splinter and break in the patient’s mouth. Support head, place on soft area or assist to the floor if out of bed. Do not attempt to restrain. Supporting the extremities lessens the risk of physical injury when the patient lacks voluntary muscle control. Note: If the attempt is made to restrain the patient during a seizure, erratic movements may increase, and the patient may injure self or others. Note pre-seizure activity, presence of aura or unusual behavior, type of seizure activity (location or duration of motor activity, and frequency or recurrence. Note whether the patient fell, expressed vocalizations, drooled, or had automatisms (lip-smacking, chewing, picking at clothes). Helps localize the cerebral area of involvement. Provide neurological or vital sign check after seizure (level of consciousness, orientation, ability to comply with simple commands, ability to speak; memory of incident; weakness or motor deficits; blood pressure (BP), pulse and respiratory rate). Documents postictal state and time or completeness of recovery to a normal state. May identify additional safety concerns to be addressed. Reorient patient following seizure activity. Patient may be confused, disoriented, and possibly amnesic after the seizure and need help to regain control and alleviate anxiety. Allow postictal “automatic” behavior without interfering while providing environmental protection. May display behavior (of a motor or psychic origin) that seems inappropriate or irrelevant for time and place. Attempts to control or prevent activity may result in the patient becoming aggressive or combative. Investigate reports of pain. May be a result of repetitive muscle contractions or symptom of injury incurred, requiring further evaluation or intervention. Detect status epilepticus (one tonic-clonic seizure after another in rapid succession). This is a life-threatening emergency that if left untreated could cause metabolic acidosis, hyperthermia, hypoglycemia, arrhythmias, hypoxia, increased intracranial pressure, airway obstruction, and respiratory arrest. Immediate intervention is required to control seizure activity and prevent permanent injury or death. Note: Although absence seizures may become static, they are not usually life-threatening. Carry out medications as indicated: Specific drug therapy depends on seizure type, with some patients requiring polytherapy or frequent medication adjustments. AEDs raise the seizure threshold by stabilizing nerve cell membranes, reducing the excitability of the neurons, or through direct action on the limbic system, thalamus, and hypothalamus. The goal is optimal suppression of seizure activity with the lowest possible dose of a drug and with fewest side effects. Cerebyx reaches therapeutic levels within 24 hr and can be used for nonemergent loading while waiting for other agents to become effective. Note: Some patients require polytherapy or frequent medication adjustments to control seizure activity. This increases the risk of adverse reactions and problems with adherence. Adjunctive therapy for partial seizures or an alternative for patients when seizures are not adequately controlled by other drugs. Potentiates and enhances the effects of AEDs and allows for lower dosage to reduce side effects. Used to abort status seizure activity because it is shorter acting than Valium and less likely to prolong post-seizure sedation. May be used alone (or in combination with phenobarbital) to suppress status seizure activity. Diastat, a gel, may be administered rectally, even in the home setting, to reduce the frequency of seizures and need for additional medical care. May be given to restore metabolic balance if a seizure is induced by hypoglycemia or alcohol. Monitor and document AED drug levels, corresponding side effects, and frequency of seizure activity. A standard therapeutic level may not be optimal for an individual patient if untoward side effects develop or seizures are not controlled. Monitor CBC, electrolytes, glucose levels. Identifies factors that aggravate or decrease the seizure threshold. Prepare for surgery or electrode implantation as indicated. Vagal nerve stimulator, magnetic beam therapy, or other surgical intervention (temporal lobectomy) may be done for intractable seizures or well-localized epileptogenic lesions when the patient is disabled and at high risk for serious injury. Success has been reported with gamma-ray radiosurgery for the treatment of multiple seizure activities that have otherwise been difficult to control.